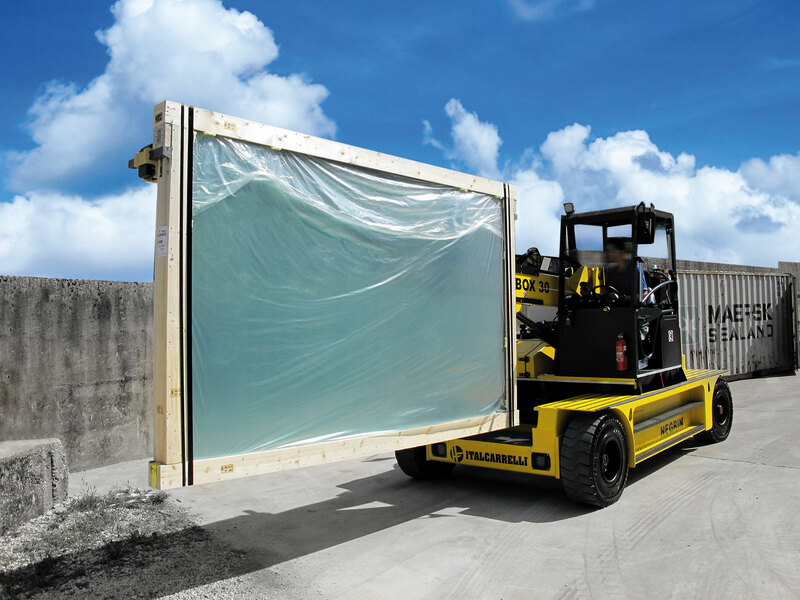 loading/unloading of box glass from a closed container. 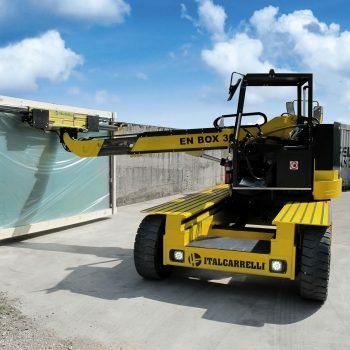 The arm is hydraulically extensible and can rotate by 90° to the right or to the left. On the arm, equipment is positioned, which in its turn is assembled on a 180° rotating support. 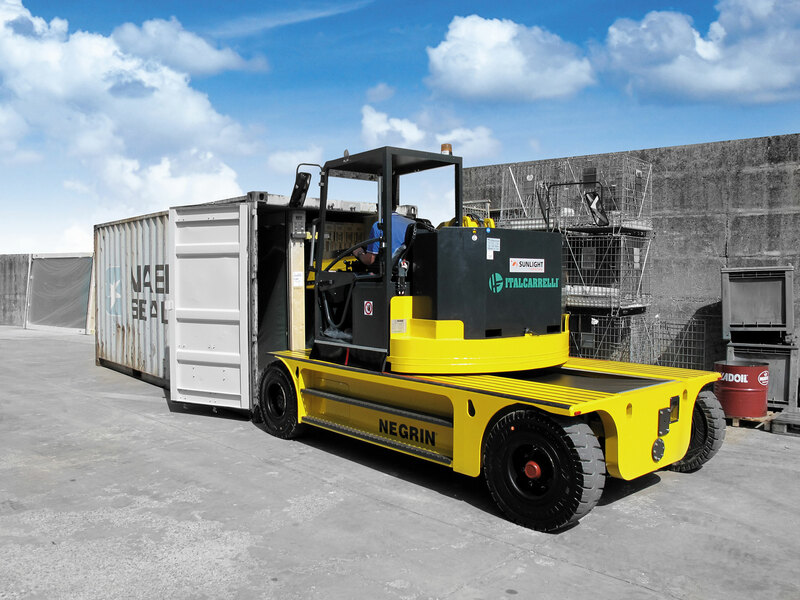 Moreover, it is equipped with cameras allowing visibility to the operator during the maneuvers inside the container. Such cameras are available on the display inside the driving cabin. by means of 2 small extensible / retractable supports according to the box thickness. 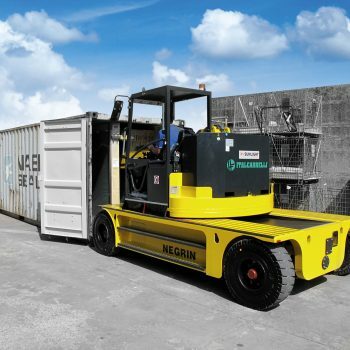 The rotating support allows loading and unloading the plates loaded on the left or right side of the container. 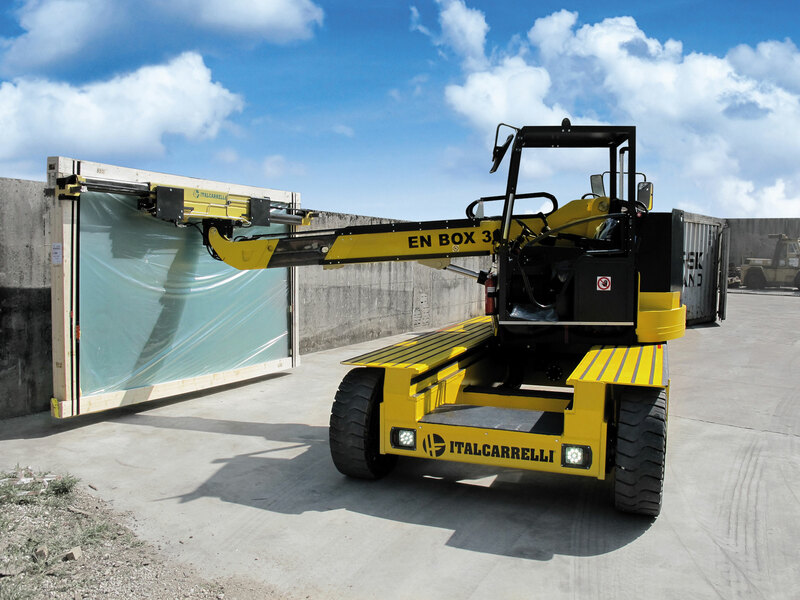 Moreover, it is possible to pick up and store the boxes in the warehouse. 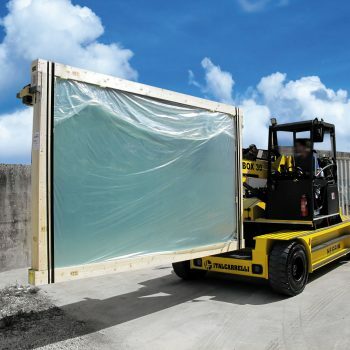 Finally, the height of the arm is adjustable in order to allow operation inside the container without the need of positioning it on the ground.